Finally, a 360 for DiSC® users. But Everything DiSC 363 for Leaders isn't just any 360 it combines the best of 360 with the simplicity and power of DiSC, plus three strategies for improving effectiveness. The result is a 360 experience that's more productive and satisfying. 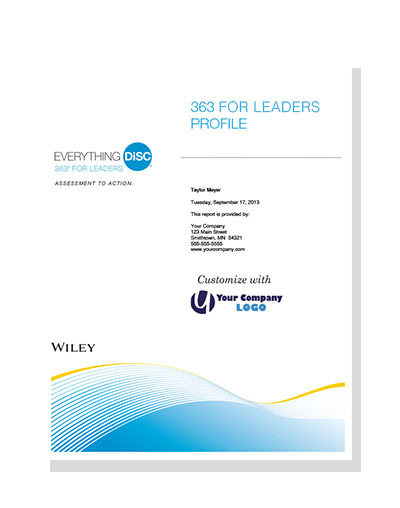 Everything DiSC® 363 for Leaders is a registered trademark of Wiley.